YOU can pass! With Quality Driving Lessons in Poole & Bournemouth, we at StreetDrive (SoM) are determined to help you succeed !! ´Good Afternoon and welcome!´- "We now have 700+ Customer Reviews" - Why not take a look then give us a call to discuss your learning requirements !! 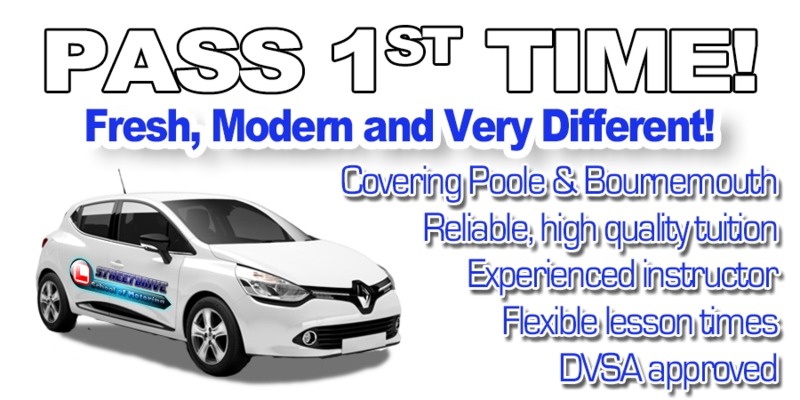 We are "PROUD" of our very high "1st Time" pass rate - "Ranked 2nd" out of 570+ UK Driving School´s offering "Weekly PAYG Lessons" and "Intensive Driving Courses"
StreetDrive (School of Motoring) are your local driving school, we`re fresh, modern and one of the fastest growing driving schools within the Poole and Bournemouth Areas. 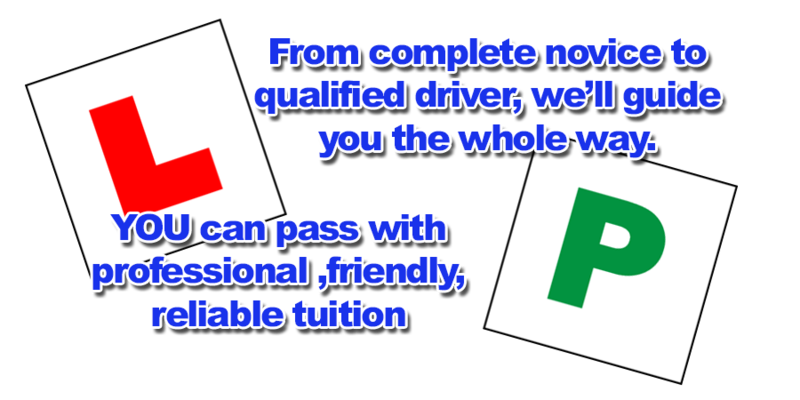 We are committed to providing our learner drivers with a wide range of driving lessons and intensive driving courses, at prices everyone can afford. Our friendly and professional team of driving instructors have an in-depth knowledge of the road network within your local area. This enables us to tailor your driving lessons to match your area and driving test route so that you will be relaxed and confident behind the wheel for your practical test. Our instructors can take you through every aspect of learning to drive from applying for your provisional license to the theory test and on to passing your practical driving test. All the way through your training your instructor will follow the official DSA curriculum which you will be able to monitor with the pupil "drivers record" which will be given to you on your first lesson. We will tailor a course designed for you ie around what previous experience you have had, your availability and your budget. Rest assured that our instructors main aim is to make you safe competent drivers and to pass your driving test "first time" in the shortest time possible. Sensible, Competitive Pricing - "Very High" success rate - "Ranked 2nd" out of 570+ UK Driving School offering "Intensive Driving Courses"
TheoryTest Pro - Unlimited access to the number one online theory test training website. Fully qualified, "DVSA approved & DIA registered" "Male & Female" driving instructors. Experienced, friendly, very patient and reliable instructors. Custom tailored intensive & semi-intensive driving courses, block bookings, Pay-as-you-Go & refresher lessons. Mix & match - you decide. Well-structured, "easy to learn step-by-step tuition". Drive at your own pace. Specialist in driver training for "foreign licence holders". Personalised "gift vouchers" for Birthday, Christmas, Graduation and more. "Anxious & Nervous" pupils welcome. 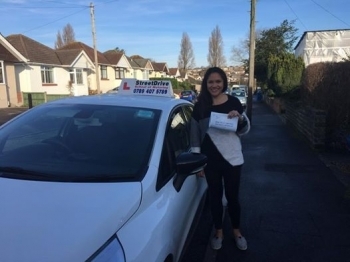 With our friendly, enthusiastic approach, our patient manner and excellent pass rate, we are fast becoming one of the leading driving schools within the Poole and Bournemouth areas.